With tourism as a continuously growing industry in Middle East, it’s not difficult to make a list of the top reasons to visit Bahrain. It may seem overshadowed by other Arab countries in terms of cultural importance, and this country may not really come close to competing with cosmopolitan Dubai and Abu Dhabi. But if there is one thing about Bahrain that proves enticing to tourists, it’s being good in both aspects of culture and modernization that holiday industry respects. One can even appreciate this country as an alternative from the mainstream. Popular places have the tendency to fail the “exotic factor” that proves a potent quality in attracting foreign visitors. For now, Bahrain can enjoy this advantage because it is relatively not very famous in the global media. Some of the attractions can give surprises. If you’re ready to experience this one of a kind city, then apply for a Dubai visa online before hand to speed up your entry process. “Going native” is a popular idiomatic expression in the military for the liaison officers going rogue in the country where the operations are conducted, at the expense of the nation’s patriotism. Negative at is it seems politically, civilians going native in their travels to the foreign lands are God’s blessing to the tourism industry. People who are prone to easily fall in love with foreign lands can easily be trapped in such a romance in Bahrain because of its relatively low presence of outsiders. It brings authentic positive alien experience to a whole new level since the locals are often pleasantly not used to seeing foreigners in the midst. There are a number of popular waterpark resorts located in Al Dar Islands. 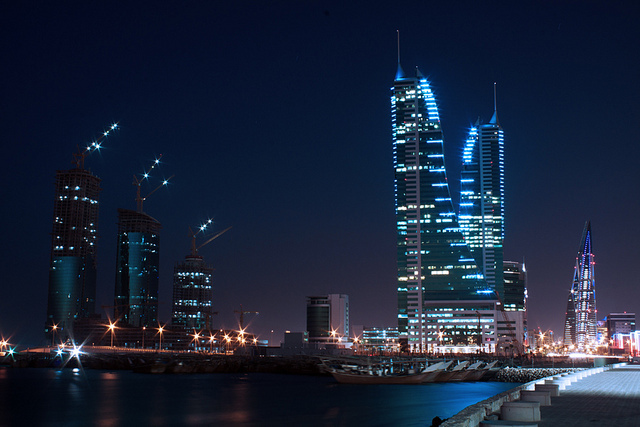 If one’s idea of vacation involves beaches, then staying in Bahrain will never be a dull experience. Water activities could range from mild and cosy to wild and thrilling. Some people may enjoy reeling fishes in a tranquil boat cruise, while others can dare try fly about in the popular Ski-Do. Either way, staying in Al Dar Islands is a great experience. One of the top reasons to visit Bahrain is the fact that this is the only place in Middle East that is called the Las Vegas of Middle East. Muslim culture generally doesn’t take worldly vices well; which includes drinking, prostitution and gambling. Bahrain seemed to pose itself as a refuge for the good-natured yet potential law-breakers of Saudi Arabia’s stringent laws. Bahrain’s Las Vegas district imitation is one of the most popular tourist locations in the country. 4. How much do you appreciate art? Appreciating art and literate culture can be one of the top reasons to visit Bahrain, as strange as it may sound. Perhaps someday the world will call it “the Cannes of Middle East”. This country has an impressive collection of world-renowned masterpieces and crafts. Bahrain has a number of galleries and museums to keep the erudite and high-browed travellers entertained while they are staying.